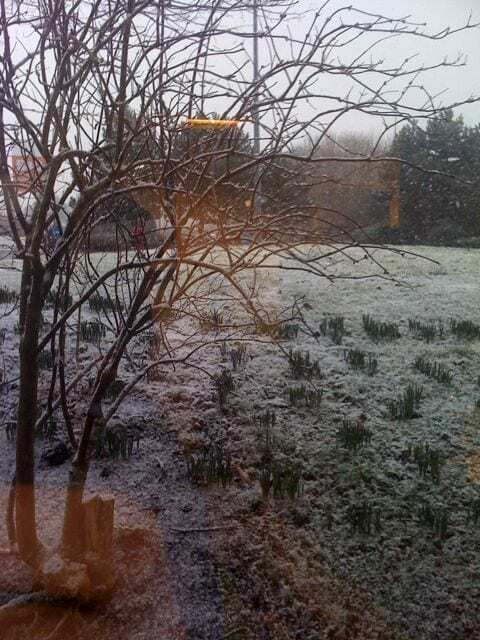 Bristol, covered in snow? Are you having a laugh?! As I walked down to Temple Meads to get the train to work, it started to lightly snow. And it’s not stopped all day! I’ve been refreshing Twitter at a ridiculous rate, catching up on the amounts of snow all over the city. It’s starting to come down quite well now, squeal! Here’s my building at lunch time. It’s almost pretty! This is the view from my window, just before we left for lunch. It looks crap doesn’t it? 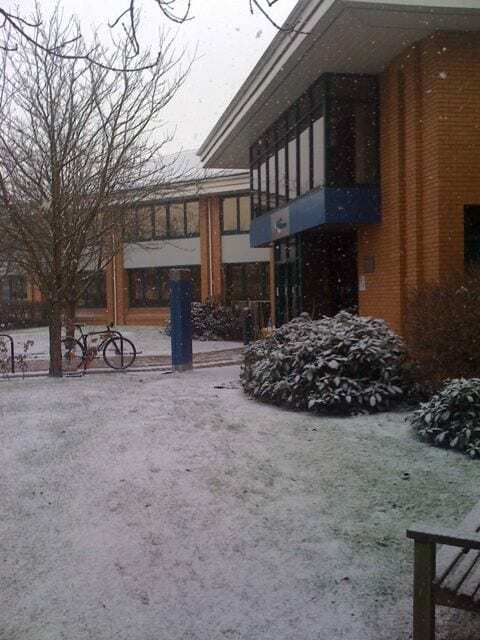 It was super snowy by the time I left the office at 5pm though! 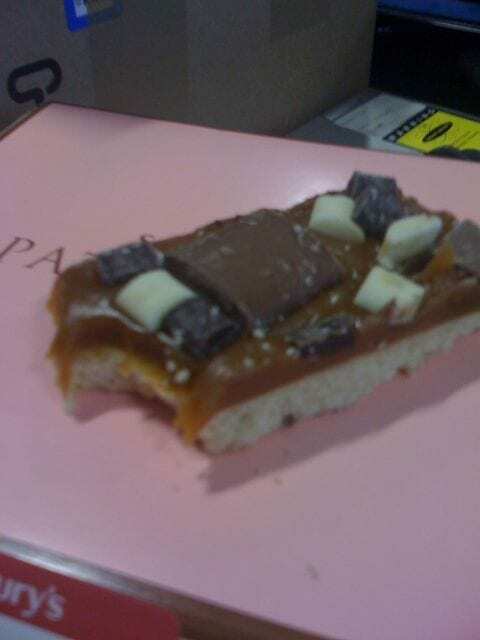 And finally, because I never really need an excuse for a nice bit of cake, here is the KILLER billionaires shortbread from Sainos. It is a centimetre deep of caramel with chocolate chunks in it. And thats on top of some buttery shortbread, just to give it a base. So good, and yet I still feel a little sick looking at it.